I made this last night and it turned out to be a lot simpler than I imagined. It has only 5 main ingredients and some seasonings and can be completed in about 30 minutes. I originally made this for my Creamy chicken and spinach enchiladas verdes. But my family enjoyed it so much, we ate almost the entire batch with chips even while it was still warm. 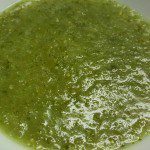 This was the best salsa verde I’ve ever had and I can’t wait to make and stock more of it. I can see myself putting this stuff on everything in the weeks and months to come. Bring 2 cups of water to a boil over high in a medium saucepan. 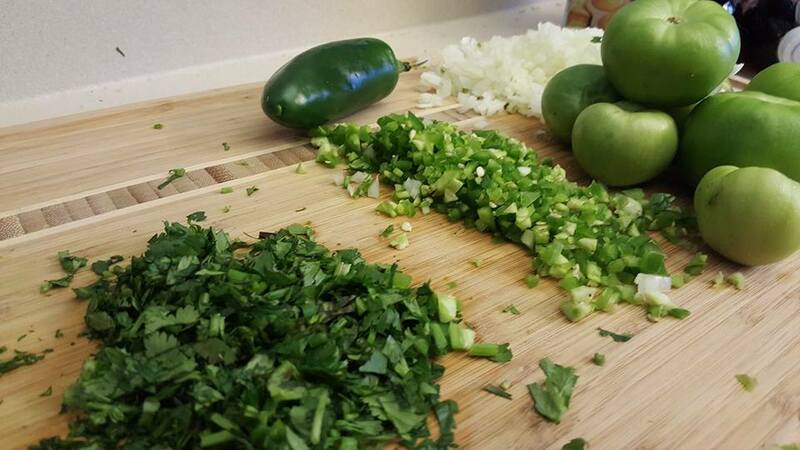 Place tomatillos, onion, garlic, and chile pepper into saucepan. Season with dried oregano, cumin and salt. 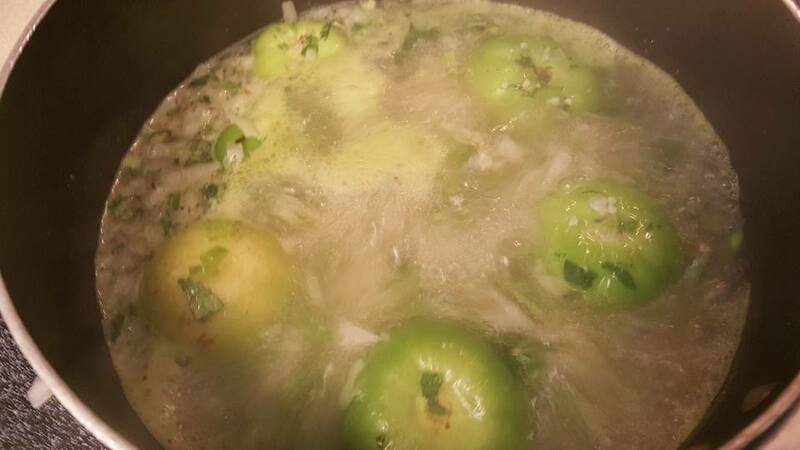 Reduce heat to medium-low, and simmer until the tomatillos are soft, 10 to 15 minutes. After tomatillos are softened add the cilantro and fresh oregano and remove from heat. 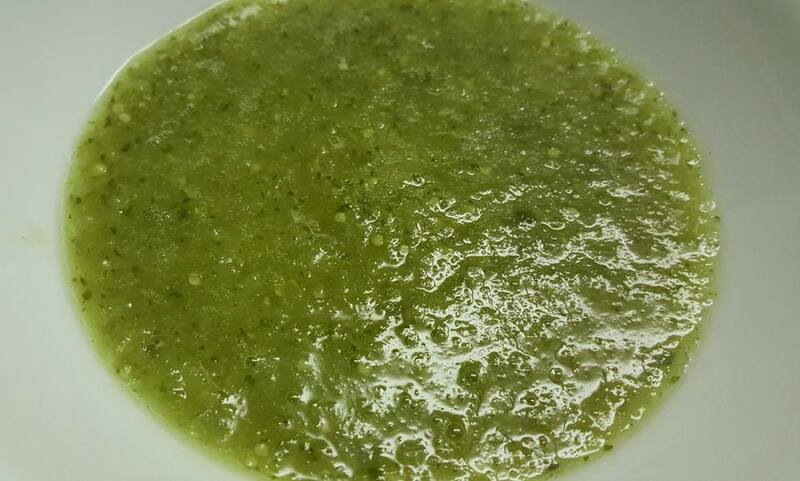 Using a blender, carefully puree the mixture and tomatillos until smooth.